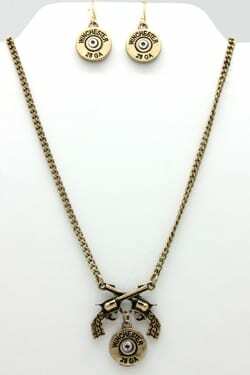 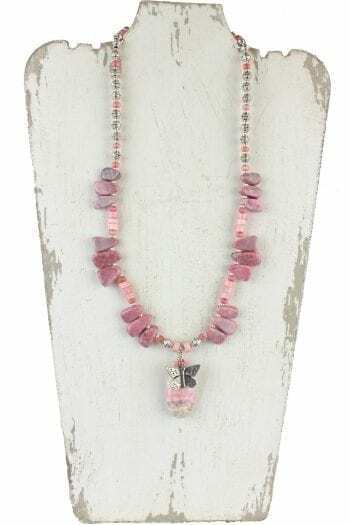 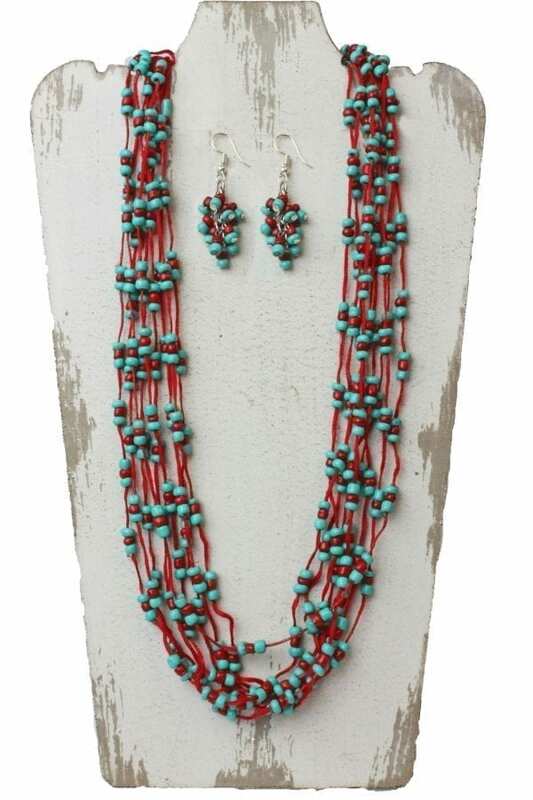 Sassy Cowgirl Necklace and Earring Set measuring 21″ to 24″. 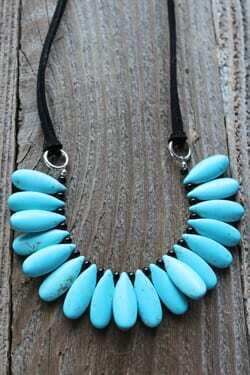 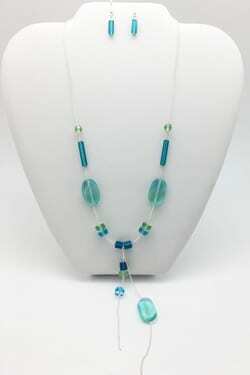 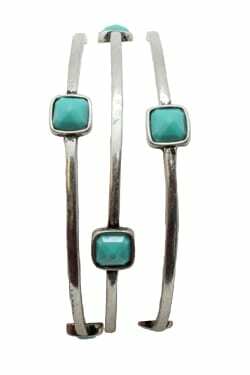 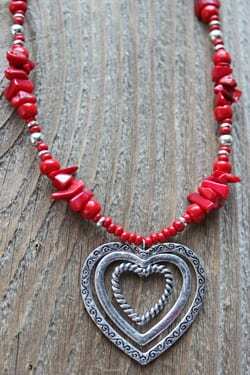 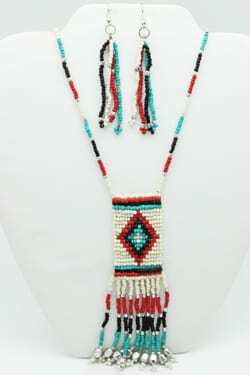 This has a southwest feel and is a 10 strand turquoise and red set with a western flair. 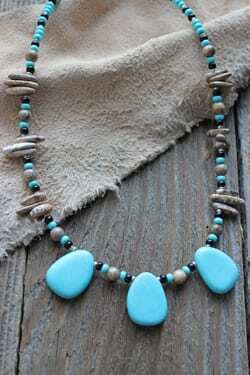 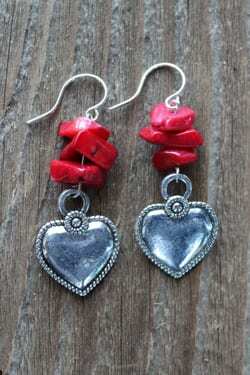 A showstopper at any rodeo or barn dance!